You may be able to make a personal injury calm if the cause of the accident is not your fault. Package Holidays are different from independently arranged holidays. The compensation package varies depending on what kind of holiday you are on. 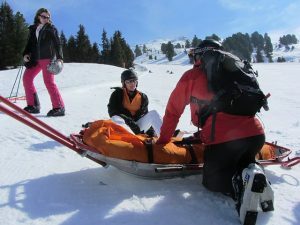 Since the introduction of package holidays and the Travel Trade Act, 1995, it has become much easier to pursue a personal injury claim arising from an accident while on a package holiday abroad. Consumers can submit a claim in Ireland, rather than in the country where the holiday took place. A package holiday must contain two or more elements of a package such as flights and accommodation. In addition, it is the organiser of the package holiday (usually the tour operator) who is liable to the consumer for the proper performance of the obligations under the contract, instead of the hotel or local service providers. If tour operators are in breach of their duty of care to ensure that accommodation and other services are safe and hygienic, then holiday makers may be entitled to make a claim for the injuries they have received as a result of that breach of contract. Independent holidays by organising ones holiday in another country, holiday makers have to make a claim in that country. To establish if you have a claim for compensation you should contact Tim or Vincent Shannon.